On Saturday June 24th, we attended the sold-out Santana Transmogrify Tour at Chateau Ste. Michelle Winery in Woodinville. 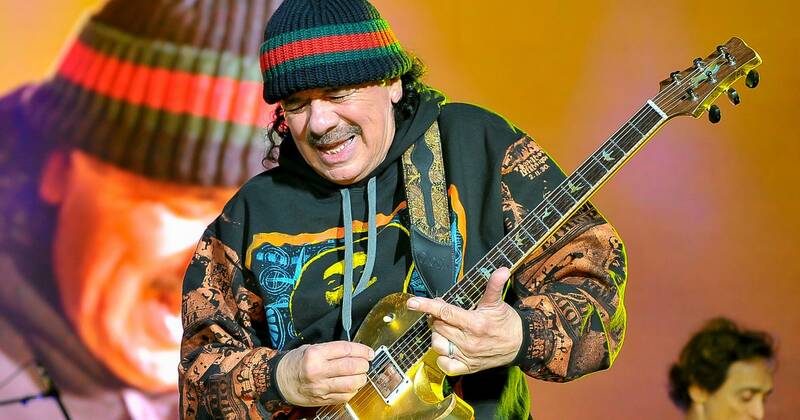 Santana is a ten-time GRAMMY® Award and three-time Latin GRAMMY® Award-winning group let by Carlos Santana a true musician, artist and included in the Rock and Roll Hall of Fame. The Transmogrify tour kicked off at Chateau Ste. Michelle in Woodinville on June 23rd and 24th, where Santana performed soul-filled music and Latin beats from their forty years of making music including hits from the 60s, 70s, and 90s popular hits from their album Supernatural and beyond. Photo by Rolling Stone Magazine.